You must make reservations at least 5 minutes in advance of the time at Morton's The Steakhouse - Downtown DC. Garage Parking Available Sunday - Thursday located on 18th St.
Garage parking is available at Washington Square Garage, located on 18th St. between K & L Streets - rate varies. Private and group dining available. Contact our dedicated Sales and Marketing Manager to plan your next business or social event. Hosting a party at your home or office? Ask about Morton's Prime To Go and Prime Platters! Pick up only. 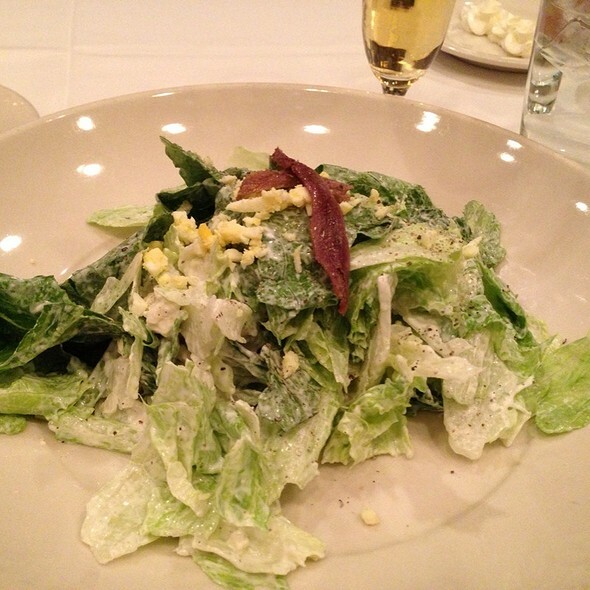 Morton's lunch menu also features entree salads, sandwiches... and of course, steak! De lo mejor como siempre, Saludos! It was definitely an experience and a great one at that! The food was impeccable! So delicious. I will absolutely be back again. Steak cut had a lot of fat - just think for the price the quality of the meat was not there. This was true for both our prime cuts. The quality of the steak was bad. Good scallops. The service was good. They missed one of the side dishes, which was delivered at the end of the meal. Everyone is here very professional and kind. The food is amazing! One of the better Morton's I have been to. The food was consistently good and although the dessert (which was ordered at the start of the meal) took a while to arrive, the Hot Chocolate Cake was my favorite and worth the wait. For a relaxing evening Morton’s is the place to be, quiet and elegant, great service and delicious food. Service was very slow, I had to keep reminding the server for our drinks. Food was fantastic, ambiance wonderful, location convenient to the downtown core, and our server (Walter) made a great dinner experience even better. Everything was phenomenal except the smell of the cigar smoke coming in from the exterior patio. 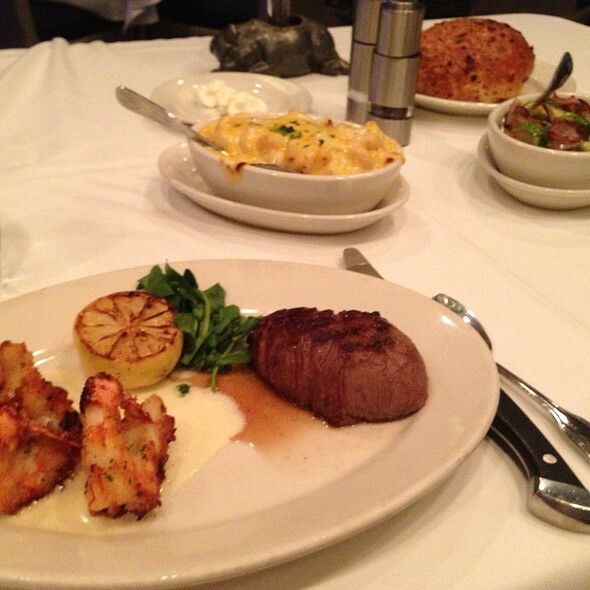 How can you go wrong with Morton's, delicious food and great service. Anne Marie the serve was outstanding and during my next visit I will request her. Great food. Service and time it took was lunch was ridiculous. My wife and I had a wonderful dinner experience. The food was outstanding, the service impeccable, and the ambiance was just perfect for a quite, romantic evening. We also thought it was very reasonably priced for the value received. overall experience was lousy, steak tough, service extremaly slow. will not go back. What stood out for me was the service. 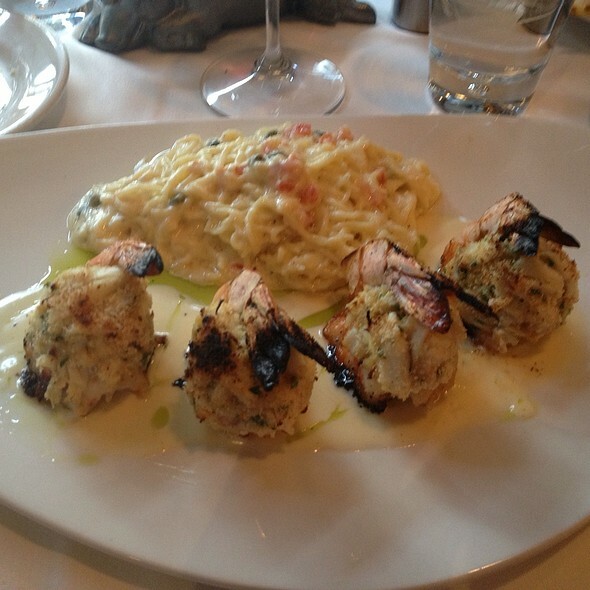 Our server was attentive, knowledgeable and personable. He was able to help advise us on selections his recommendations of the Brussels sprouts and Lyonnaise potatoes were spot on! He made us aware of highlights on the menu and suggested many options without seeming pushy. I had a mixed a grill and both the steak and the seafood were cooked perfectly. The side options were numerous and delicious. My only complaint is that the restaurant is on the second level of a business building without a noticeable sign so it was tricky to locate. Two of the three meals were very undercooked the chicken meal was very good but the steaks just didn’t turn out. The rest of the sides were excellent and the service was top notch. Sometimes things don’t always work out, regardless of who’s cooking! What mattered most to us at that point was their attention to making our experience as best as possible...to be clear our server was excellent! Of course we will try again next trip to DC! This Morton's knows how to perform a meal as a theater program in the form of a meal. My appetizer of raw oysters which were 6 for $20 were the smallest stringy things I’ve ever had. I’m use to plump juicy big oysters! Especially from a fine dining place. My steak was great! Our waiter could have had a bit more enthusiasm for his job. He wasn’t very fun or energetic. The offering of a picture to capture our table was a great touch for the special occasion. The place had barely anyone there and we should have been placed with a great view. I had made reservations but instead was stuck in the back by the wine cooler. Just wasn’t very impressed considering how much I spent! Very expensive. 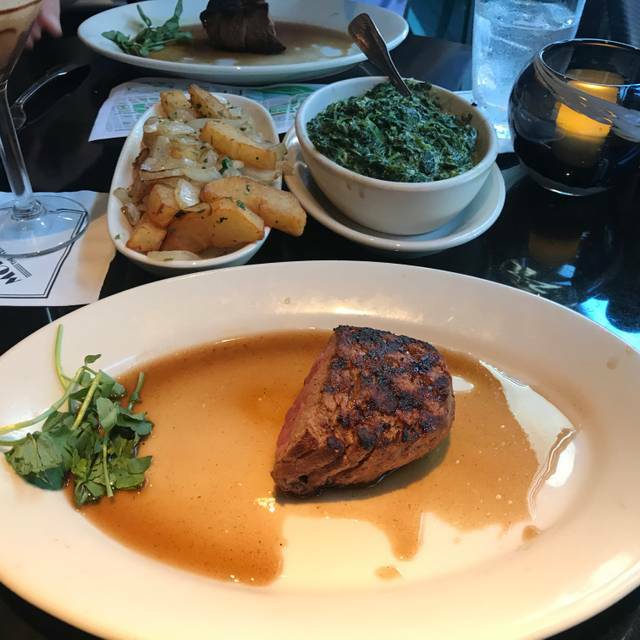 So here is our story about Morton’s Downtown D.C.
We have dined in many steakhouses... but tonight was definitely first. 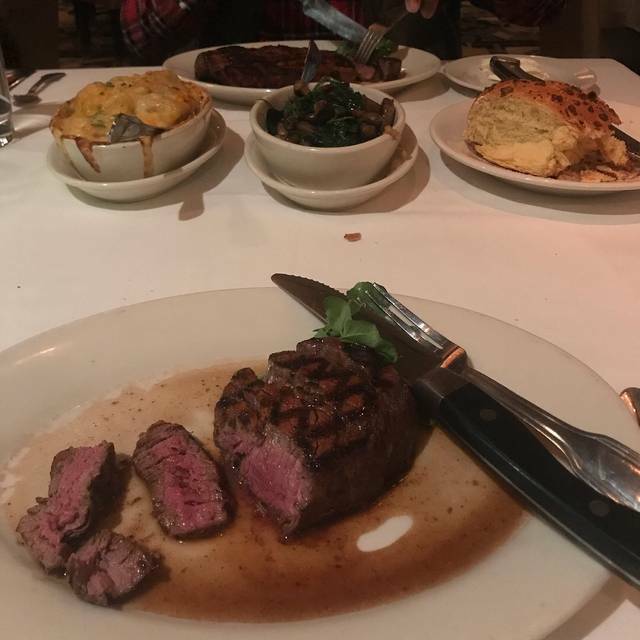 As we booked a reservation on Open Table for both My Birthday and My Son’s 13th Birthday Celebration many week’s before , we couldn’t have been more excited for our 1st Morton’s experience. And then we arrived. We were greeeted with a smile and shown to our table. On a very snowy and dead night at the restaurant (due to weather) we were seated as close to the front door/ and restrooms as you could be at this establishment. We ordered our meals, our food came, steaks were cooked as ordered. As we started our meal, my son asked to use the restroom, which I helped him find just down a bit from our table. As he entered the mens restroom, he was greeted by what can only be described as an explosion of steak, vegetables and probably more alcohol than any one person should consume. This obviously had been there for some time as we never noticed anyone come from that area while we dined, as they would have surely had to walk past us at table #1! Well, to NO SUPRISE, we both lost our appetites. As a former fine dining restaurant manager, I felt it necessary to, at the very least make the manager aware of this event. He said that he would check on it, and he did. Next came the ol’ yellow mop bucket. That was their first failed attempt. Followed by what looked like a quarantined janitor, like something out of E.T. 20 minutes later, as our food sat quietly on our plates, they exited the restroom, smells following them closely behind. Now this could be looked at as a positive to some, because it did mask the very strong smell of cigars that haven’t properly been ventilated from this establishment in quite some time. I’m sorry Morton’s, No ameatuer diner here. Rest assured, we will never return. Birthday #40 and Big Birthday #13 will always be remembered for the night that got away. Never a mention of making it right. We will not return. Owen Our server was amazing !!! We were first timers and he delivered very well !!! Everything was nice , great atmosphere and I’d definitely return ! Now that the Morton's in Georgetown is no longer open I highly recommend the downtown location. I dined there yesterday evening to celebrate an anniversary and Valentine's Day. 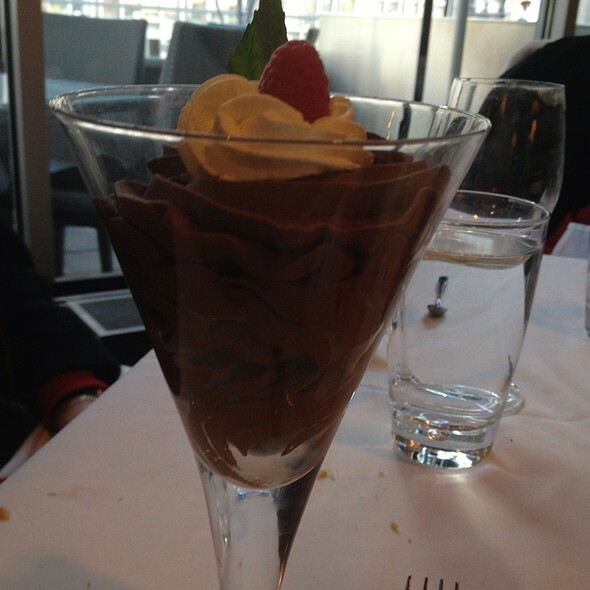 The atmosphere was elegant the service was great and the food was excellent. 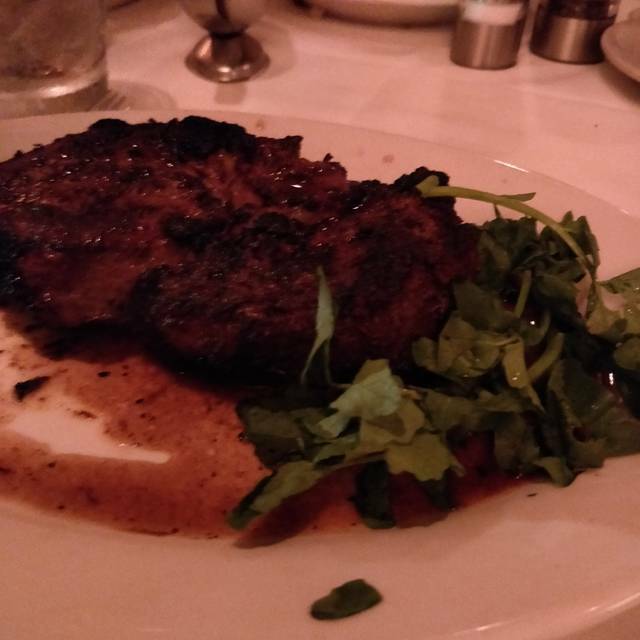 I had the 16 oz ny strip as usual, however, the steak had long strands of fat membrane throughout which I found myself not able to totally chew the steak and spitting out the parts I could not chew let alone digest. Very unusual for ny strip. 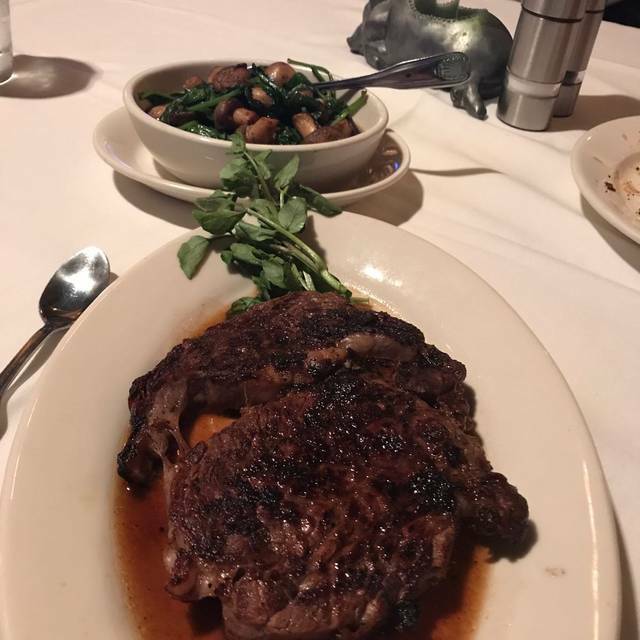 I was able to chew and digest only a 1/4 of this 16 oz steak. Very disappointed! Steak perfect. Sides old fashion and boring. Service and ambiance good. For prices, SHOULD HAVE VALET PARKING. Way, way too much anchovy in Cesar Salad dressing. Morton’s morphing into Seafood restaurant? Was in town for business and took advantage of restaurant week in DC. Had to ask for a restaurant week menu as it was not offered by the waiter. We upgraded our meals, added menu items from the regular menu, and purchased a bottle of wine and additional glasses. My medium-rare steak was not cooked adequately the first time, so they brought me another which was very nice. However it took a long time and the sides were very cold by the time I was able to eat my steak and my dinner companion was nearly finished with his meal. Upon arriving for my first time at this restaurant we were greeted by the hostess and she was very nice. The waiter took our order for 2 filets (medium well) , and they came back running with blood. (No pink, the meat was cooked to medium rare in my opinion) I asked for new steaks and the waiter brought out the same chopped up steak I sent back and said that Morton’s doesn’t give new out steaks. The steak was burnt because it was already cooked and cooled and cooked again. So I was supposed to pay $52 for my meal and we didn’t even enjoy it. He didn’t offer us anything else other an “ unfortunately I can’t take it back” he kept saying that and nothing else and I’m really disappointed in that. Never will return. I should’ve taken photos, but I never had to go through this with a 5 star restaurant. Nice experience.....Great atmosphere, excellent customer service, would visit again. The ultimate steak house chain. Always a great filet. Always. You never go wrong with Morton's. Went for restaurant week lunch. Courtney was AMAZING!!! Very attentive but not overbearing and so kind. Lobster bisque was exceptional and the salmon with blanc beurre was equally as tasty. Bread brought to the table could have been bake a bit longer as it was underdone at the bottom. Otherwise great meal and very relaxing. Great job and thanks for making husband's birthday special! 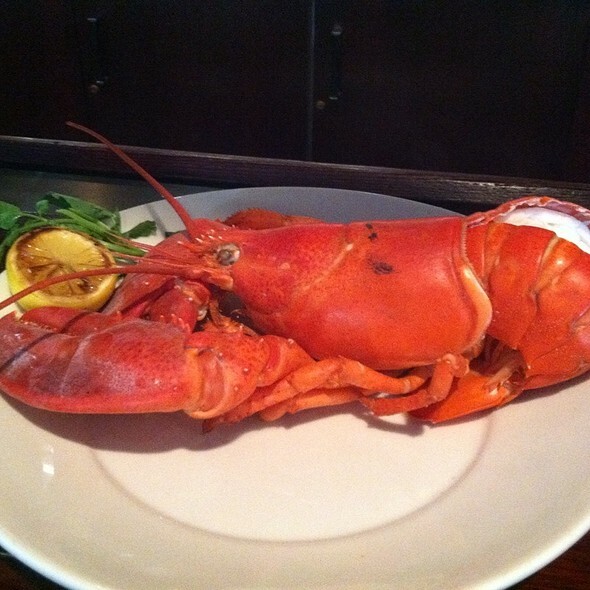 I've dined at Mortons for many years. I knew them to have an area for cigar smoking. Last week the cigar smell was almost unbearable. Not sure if it was the ventilation or whether the place needed airing out. It was a distraction to the otherwise good meal.